Choose from these clinic dates. All sessions will be held at Lake Loon Driving Range. Space is Limited. Payment arrangements can be finalized over the phone. All clinics must be paid in full prior to starting a session. 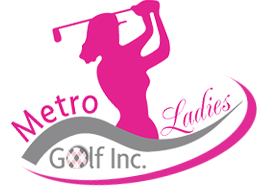 We accept e-transfers to metroladiesgolf@gmail.com, PayPal, Visa and Mastercard. All clinics will be limited to first 8 paid participants. If you are having trouble with the form contact us by phone 902-449-2062. Special events will require payment before the booking deadline. This ensures we can plan an amazing event. Refunds will not be issued after the booking deadline. Want to bring a guest at the last minute? Give us a call so we can welcome them. There will be clinics and special events added throughout the season. Check back often and follow us on facebook and twitter. Every effort will be made to reschedule your session before Nov. 15th of this year. Rescheduling or cancellation can happen the day before. “No-Shows”will not be refunded. We understand things happen – just send us an email or call. Nobody wants to practice in the rain or heavy wind. A determination to cancel a session will be made 2 hours prior to start time. You will be notified by email and text and a new date will be scheduled.